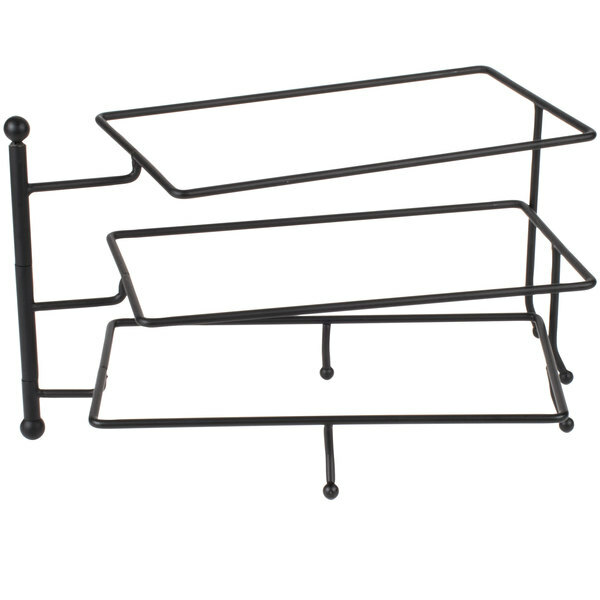 For nearly infinite display options at your banquet, buffet or catering operation, use this American Metalcraft TTREC3 Ironworks three-tier foldable rectangular display stand. 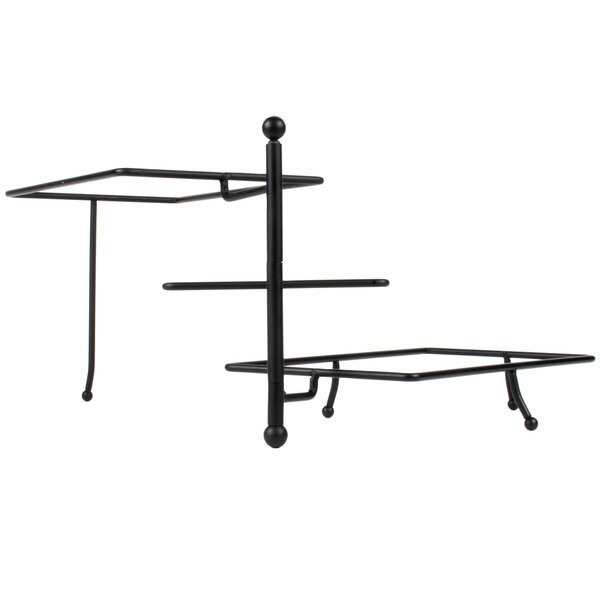 Made of durable wrought iron, each of the 3 legs can fan out to any width you choose, and its small footprint saves space on tabletops and serving areas so you have more room for additional treats. 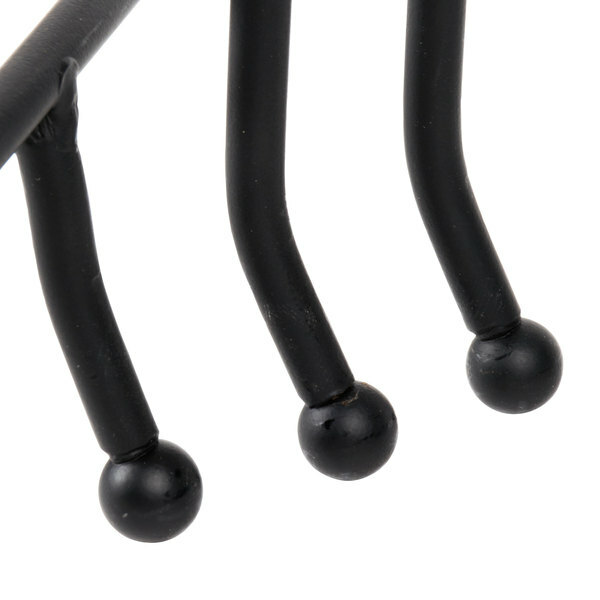 The bold black color also provides a professional look in any setting. 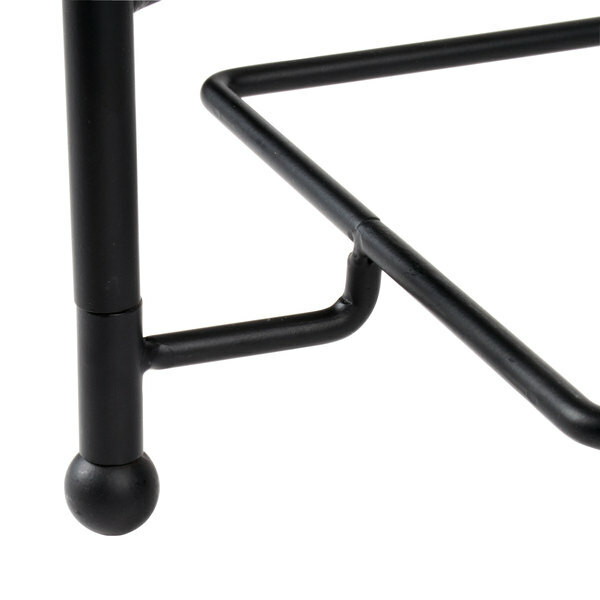 This stand raises your display just high enough to put your signature foods on display. 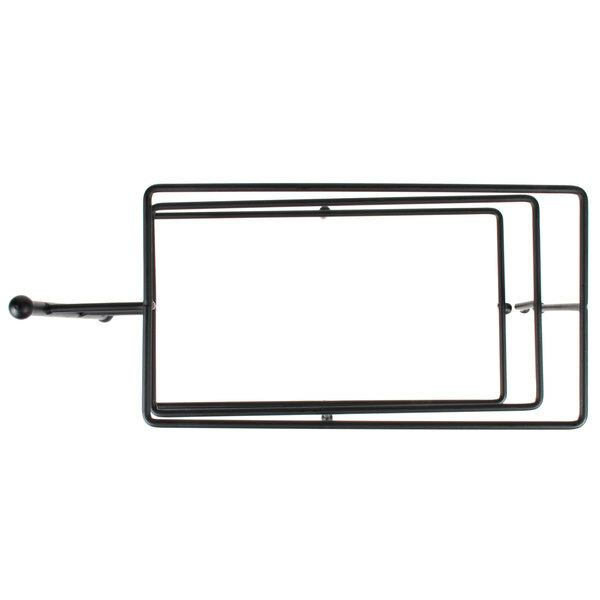 Use it at your breakfast buffet to serve fruit and granola bars, or have it set out at your lunch or dinner buffet to hold rolls and breads. Its also great for displaying complimentary snacks and goodies in your hotel lobby to welcome your guests. Like other reviewer said, there is a serious alignment problem with the legs. We tried even placing heavier plates on top to try an make up for it but you end up having a wobbling display no matter what you do. We are sorry your stand is defective; please contact our Customer Solutions team as soon as possible when you find something wrong with your order. Disappointed in this product. 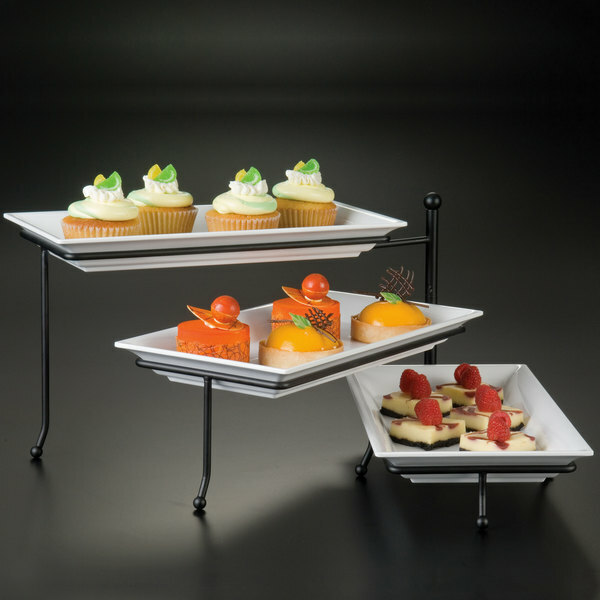 We use a variety of tiers for our displays and have rectangular serving trays that fit perfectly in the holders. Unfortunately, the product seems to be "misaligned". The legs are off-kilter. We have to position the tiers strategically to even get it to stand up - and even then, some of the legs are not touching the table. Has potential to be a great display piece, but seems to be cheaply made. Thank you for the review! We’re sorry this has not worked well for you. 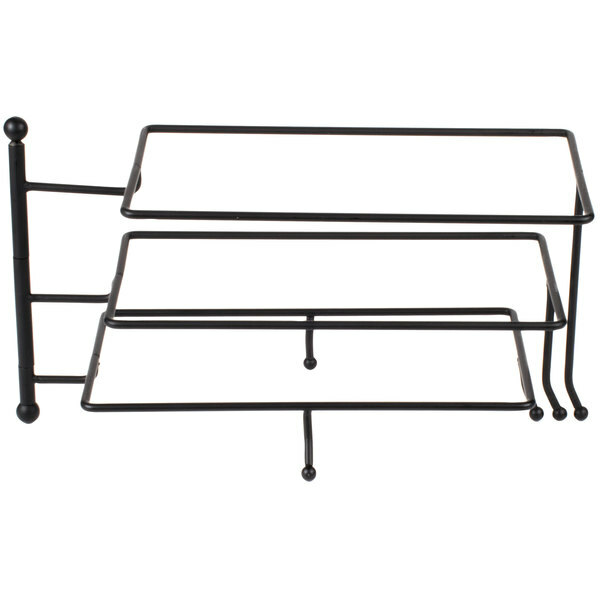 For an alternative that might better meet your needs, try this American Metalcraft IS18 Stepped Three Tier Wrought Iron Rectangular Display Stand instead! I have had one of these in use for about eight years. We use this stand for at least one event a day and it has held up exceptionally well. These do balance well with a large amount of food on each tier and make it through dish just fine. Great for large crudité displays and mini desserts! Quick and easy way to give food a professional, high end look. 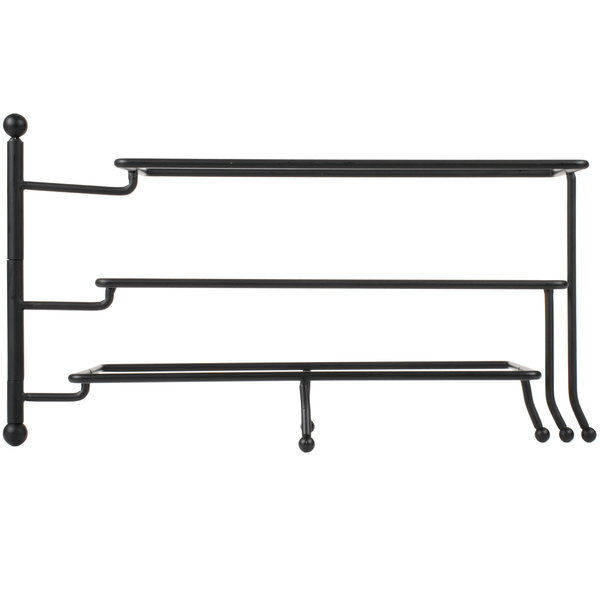 We use a couple of these stands together to create different looks for buffet tables. Pairs perfectly with white ceramic platters also offered on the site. 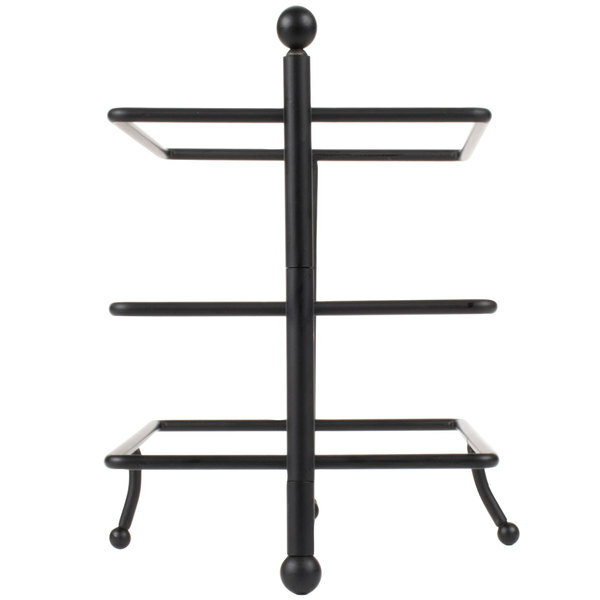 Easy to setup, sturdy construction and very elegant to look at. They can seem a bit unsteady before platters are inserted, but they quickly balance out and are stable after that. Highly recommended. This display is attractive and affordable! 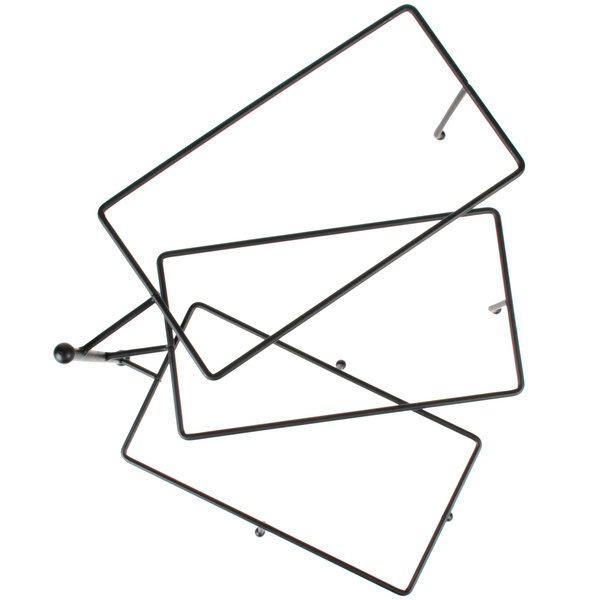 Buy mulitple ones to display cheeses, crackers and even pastries on a self serve buffet! Large stand holds a lot of product! !